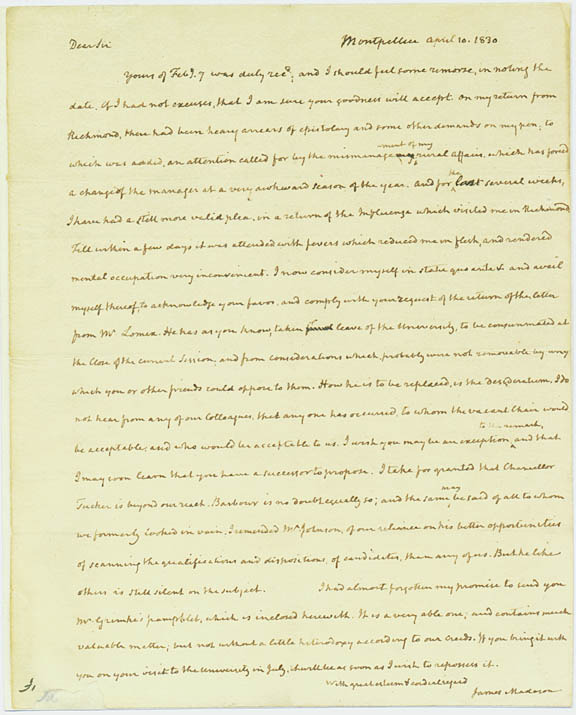 Autograph letter, signed from James Madison to Joseph Carrington Cabell, 10 April 1830. 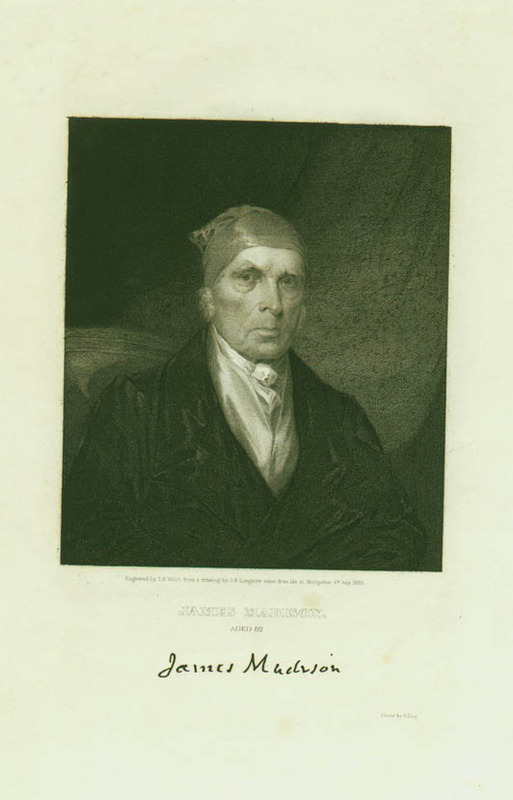 After Jefferson's death James Madison became Rector. On April 10, 1830, he wrote to Joseph C. Cabell about the hiring of a new law professor to replace John T. Lomax. He discussed three different candidates, none of whom he believed would accept the position. None of them did, and in the end the choice fell on the ill-fated John A.G. Davis.